The Parramatta ferry wharf is at the Charles Street Weir, which divides the tidal saltwater from the freshwater of the upper river, on the eastern boundary of the Central Business District. The wharf is the westernmost destination of the Sydney Ferries River Cat ferry service which runs on Parramatta River. This image belongs to the travel and nature stock photo library. This stock photo of Parramatta Ferry Wharf at Sunset is available for licensing for commercial and editorial uses including websites, blogs, books, magazines, brochures and advertising. Restrictions may apply for images which contain third party copyrighted material or sensitive subjects. Photos of artwork are for editorial use only. 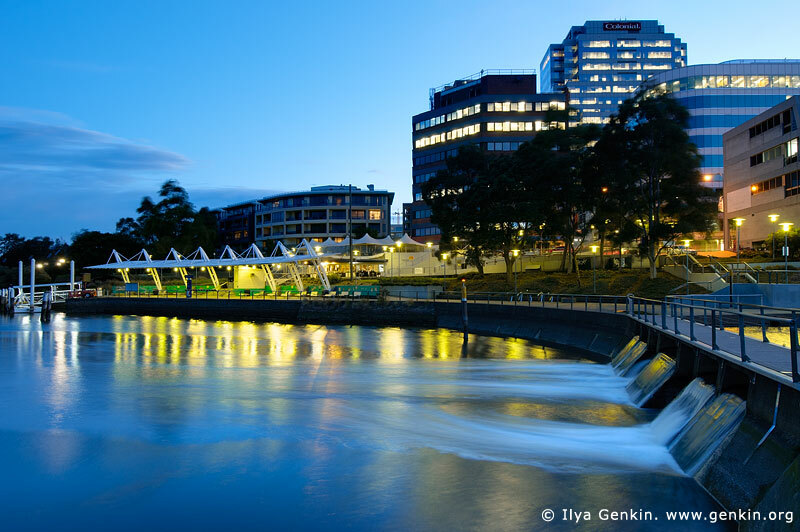 This image id AU-SYDNEY-PARRAMATTA-0007 of Parramatta Ferry Wharf at Sunset, is copyrighted © by Ilya Genkin. This is not a public domain image.